It seems that the best things in life are definitely worth waiting for! I’ve been waiting for an eternity to see the Bolshoi version of Don Quixote and finally, last weekend, I managed not only to do that, but to also witness the fabulous Ivan Vasiliev dancing his signature part of Basilio! As per usual, I waited in line for student tickets with my friend, Nastia. We didn’t have much hope of acquiring them, however, as only thirty tickets are set aside for productions on the Bolshoi new stage (as opposed to the sixty for the Historical Stage) and we were among the late forties on the ticket list. With Nastia outside the theatre! Miraculously, a good few people listed before us didn’t show up to collect their tickets, enabling us to snap up the last three! We felt more than lucky- Vasiliev rarely dances in Moscow anymore as he’s such a star, dancing amongst top companies all over the world. With Nastia inside the theatre! 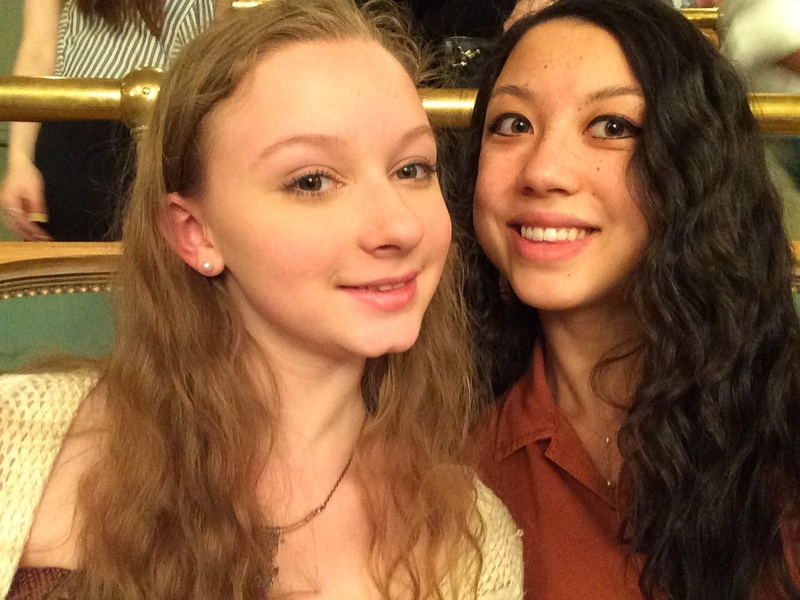 As for the production itself, I’ve never been more entertained while watching a three act ballet; we spent the entire show leaned right forwards at the end of our seats in awe and amazement at the fantastic tricks and masterful portrayals of all the famous variations and group numbers. It’s especially exciting to view pieces that we have practised or are currently practising from the ballet, such as the Fandango that will conclude our character exam and Dulcinea’s variation that I have been working on this past month. There was honestly never a dull moment- where most ballets take a dip, the fantastic cast performing that night amplified the atmosphere up further and further; the final pas de deux was such a bombshell that audience members simply couldn’t contain themselves! Not only was Vasiliev expectedly out of this world, Ekaterina Krysanova, who played the role of Kitri, was a spectacular example of the fiery Spaniard with an energy to match her partner both technically and emotionally. I will never forget her double fouettés and she finished with a triple! This was the sort of production usually viewed online that I wish I’d been lucky enough to see in the theatre; it felt momentous. Afterwards, we weren’t to going to let the opportunity to meet the principals pass by, so, once again, we waited by the theatre exit for the stars to leave. 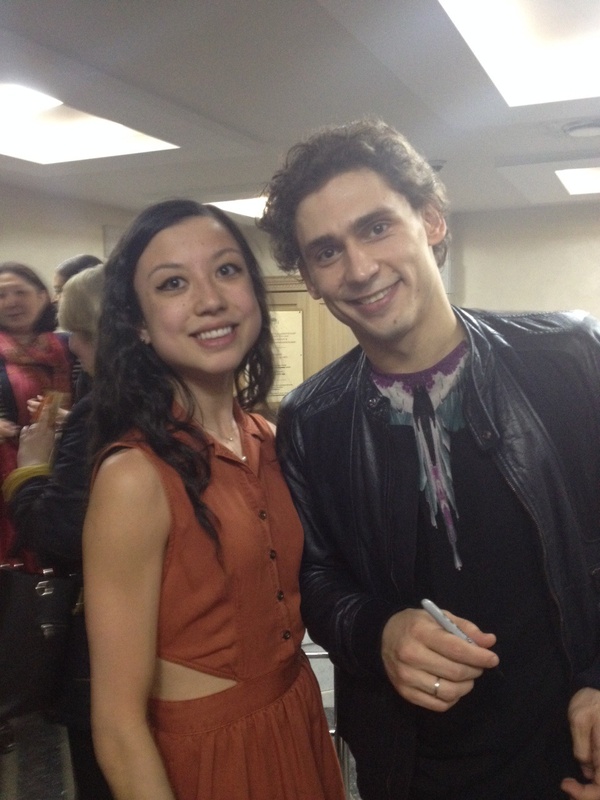 I was extremely star struck upon meeting Vasiliev- as was everyone else waiting for autographs! Additionally, we met his girlfriend, Maria Vinogradova, who danced the Street Dancer that night and who, interestly, trained for her whole eight years under my teacher, Natalya Igorevna Revich! 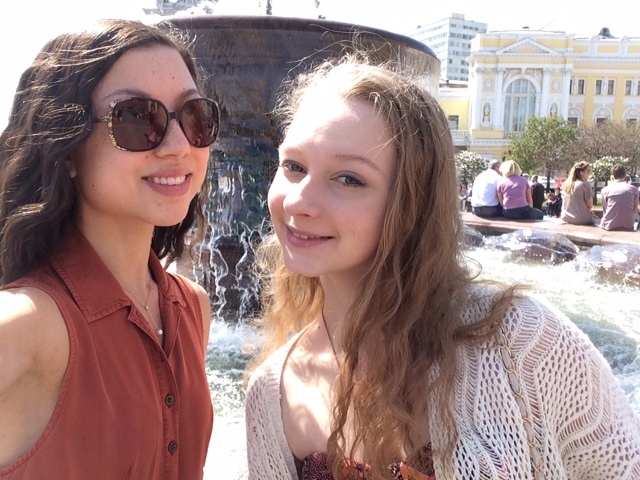 I spoke to her, with my classmate Nastia, about our mutual teacher which made us feel great! I’m extremely glad to have had such a wonderful opportunity and hope to continue expanding my theatrical experiences! We have penciled in many future must see performances that I am looking forwards to writing about in upcoming posts!